First look at the all new AJ III dropping this March. Over the past week or so, several sites including SC had reported a possible release of the 'Katrina' Air Jordan 3 Retro. 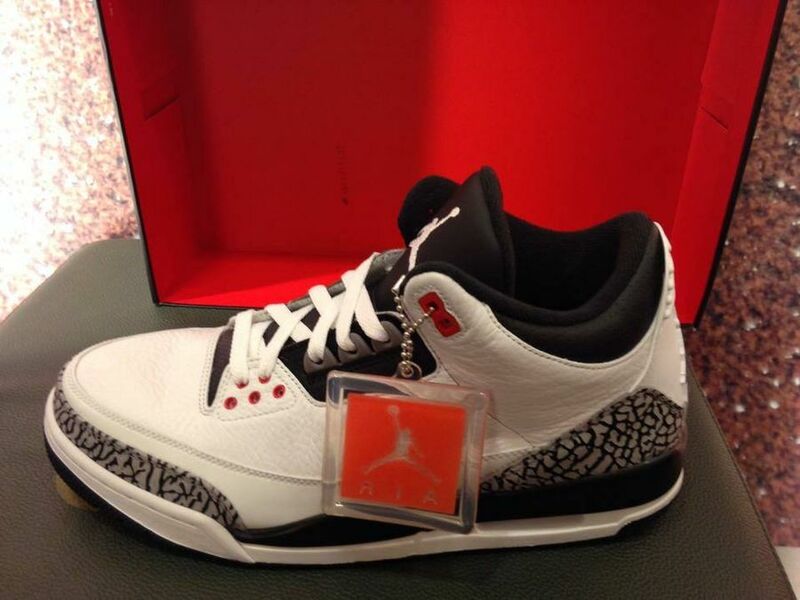 New images today show a totally new colorway over the Air Jordan 3 which was always the style intended to be released. The new look Air Jordan 3 Retro still maintains a classic look, working with a traditional full leather build and classic elephant print overlays. Creating the unique look, the Jordan Brand hit these with a black tongue, eyestay and collar lining. Minimal infrared accents are seen over the eyelets. This all new take on the Air Jordan 3 Retro is expected to hit authorized Jordan Brand accounts on March 8th.